Genentech is a pharmaceutical company best known for their groundbreaking cancer treatments. Their CCP1 facility— that is, their first large-scale cell culture production facility— is located in Vacaville, California. 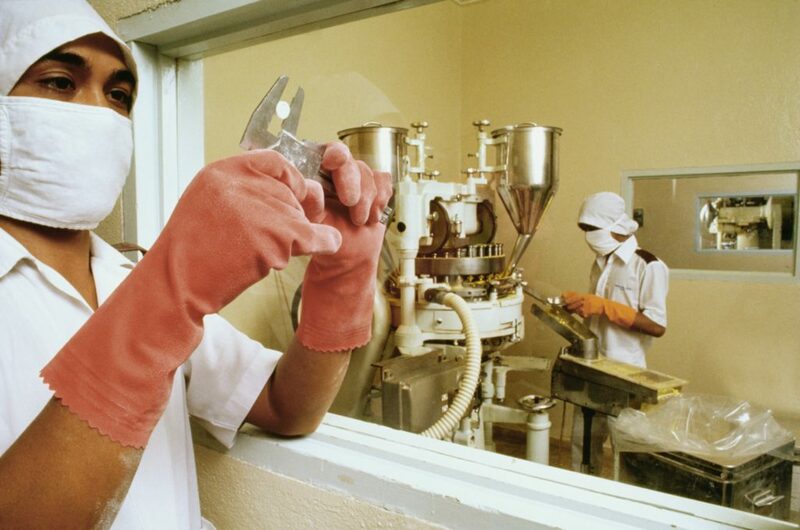 Construction began in 1995, and was first licensed to produce the breast cancer drug Herceptin in 2000. It’s also licensed to produce several other life-extending, innovative drugs, including the most prominently used to battle many different forms of cancer, Avastin. The facility remains an important, and high-producing, manufacturing site for oncology drugs. But by 2007, the facility’s central control system was reaching a point where it was reaching end of life, and the components comprising the system were becoming harder and harder to come by, after the vendors providing those parts had declared them obsolete. The facility was Genentech’s first fully integrated manufacturing environment, and all essential processes were conducted through a central Distribution Control System (DCS)— direct operator interaction with the manufacturing process was fairly limited. The company determined that a retrofit was necessary to ensure that their facility could continue to meet high demand, increase its efficiency, and take advantage of the forward march of pharmaceutical manufacturing technology. The project was, in the end, a resounding success for Genentech. They finished the retrofit in August of 2013, having met all of their goals, both technical and business. They resumed full production after the planned amount of downtime— which was also used for regular, periodic utilities maintenance. And as a result of the retrofit, the facility has decreased unplanned down time by 95%, thanks to improvements in the Distribution Control System’s overall performance and reliability. In this blog series, we’re going to take a look at how to know when to upgrade pharmaceutical manufacturing systems and how Genentech conducted their successful retrofit. We will specifically look at the eight best practices that they used to strategically carry out the upgrades, and match their outcomes with their goals. We’ll follow Genentech’s experience throughout, using their successful retrofit strategy as a case study to illustrate why and how those best practices can make retrofitting a realistic and reasonable option for many manufacturing facilities— and why you should consider incorporating them in your plan of action, if you’re facing a retrofit project in your own facility. To read more about Genentech, these best practices, and the retrofit process, download the white paper. Have you, or someone you love, been helped by any of Genentech’s drugs? Have you heard of the company? Tell us about it in the comments! Richard Parapar has over 30 years experience delivering advanced automation solutions for the life sciences, petrochemical refining, high purity gas production, and consumer food processing industries. Richard recently retired after over 21 years at Genentech/Roche as a Senior Principal Engineer and Technical Lead for Automation Engineering, where he was responsible for delivery of major strategic automation projects and shaping the long term direction of manufacturing execution and process automation systems for Genentech.